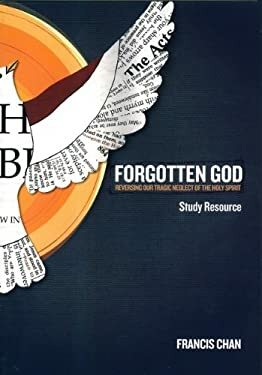 In this dynamic companion to the book "Forgotten God, "breakthrough author Francis Chan reminds us of the true source of the church's power-the Holy Spirit. Chan contends that we've ignored the Spirit for far too long, and that without Him, we operate in our own strength, only accomplishing human-sized results. This seven-session video resource offers a compelling invitation to understand, embrace, and follow the Holy Spirit's direction in our lives. It is designed to initiate and facilitate discussion, interaction and practical application of the message of "Forgotten God." "" " " Francis' thought-provoking teaching makes this a valuable resource for small groups, churches, youth groups, and college campus ministries. Features include: Seven sessions for individual or group study. Discussion questions and prompts led by Francis Chan. Behind the scenes out-takes and additional bonus components.